So I called in Uriah the priest and Zechariah son of Jeberekiah as reliable witnesses for me. Then I made love to the prophetess, and she conceived and gave birth to a son. 'Because this people has rejected the gently flowing waters of Shiloah and rejoices over Rezin and the son of Remaliah, therefore the Lord is about to bring against them the mighty floodwaters of the Euphrates— the king of Assyria with all his pomp. It will overflow all its channels, run over all its banks and sweep on into Judah, swirling over it, passing through it and reaching up to the neck! Its outspread wings will cover the breadth of your land, Immanuel! ' "
Since King Ahaz rejected the Word of the Lord in 733 BC when Isaiah offered comfort and protection in Isaiah 7, the Lord sends Isaiah back in 724 BC with another message. This time Isaiah was to document his prediction/prophecy on a scroll in the presence of the high priest Uriah (2 Kings 16:10-11) and Zechariah (possibly the royal prophet of King Ahaz). King Ahaz has rejected Isaiah, but the King’s high priest and possibly his prophet, Zechariah, will be forced to witness the authenticity of Isaiah's words. At the Upper Water Pool (Isaiah 7) Isaiah had offered King Ahaz the “gently flowing water of Shiloah” (the Lord Almighty) as Jerusalem’s protection, but since King Ahaz is more impressed with the promises and threats of men, the Lord will bring the flood waters of the Euphrates (the King of Assyria) as Judah's “protection”, but the protection of man will consume the land of Judah. Hekal (Hb) - palace (Eng) - The Hebrew word hekal means “palace” and “temple.” The hekal is the dwelling place of a god or a king. I will trust the Lord instead of turning to schemes. 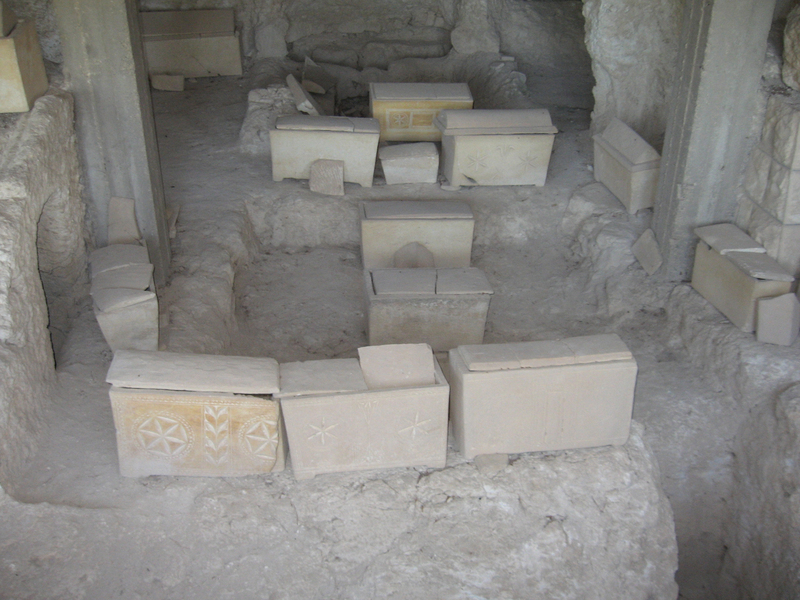 Ossuary burial boxes on the Mount of Olives. "Theology is practical: especially now ... if you do not listen to Theology, that will not mean you have no ideas about God. It will mean you have a lot of wrong ones - bad, muddled, out-of-date ideas. For a great many of the ideas about God which are trotted out as novelties today are simply the ones which real Theologians tried centuries ago and rejected." Hawaii is the only state that has a church growth rate that out paces its population growth. 13.8% of Hawaii’s population regularly attends church. Although, Arkansas, Oklahoma, South Carolina and Tennessee were close to keeping up with their population growth. or the Lord will see and disapprove and turn his wrath away from them." The desert and the parched land will be glad; the wilderness will rejoice and blossom. Like the crocus, 2 it will burst into bloom; it will rejoice greatly and shout for joy. The glory of Lebanon will be given to it, the splendor of Carmel and Sharon; they will see the glory of the Lord, the splendor of our God.